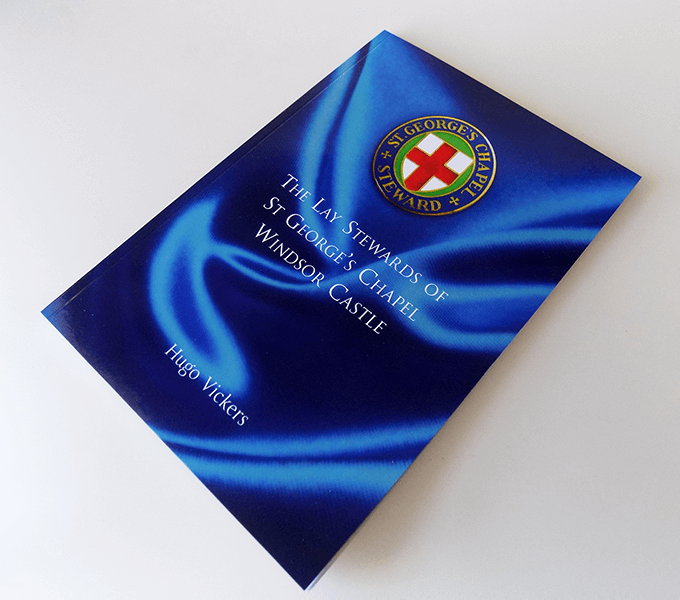 A retired client of ours is now a Lay Steward at St Georges Chapel, Windsor. 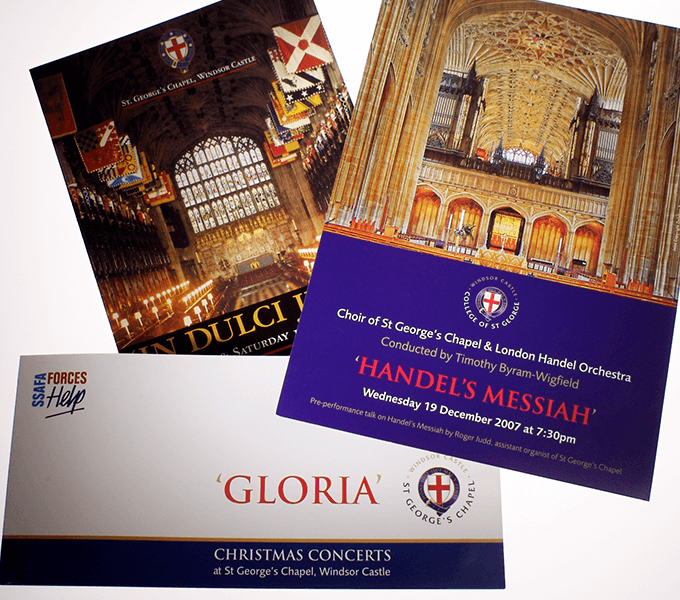 We continue to enjoy working with him in his voluntary capacity, on occasional exhibitions, programmes and publications. In 2016 we designed and produced a short run book written by Hugo Vickers. 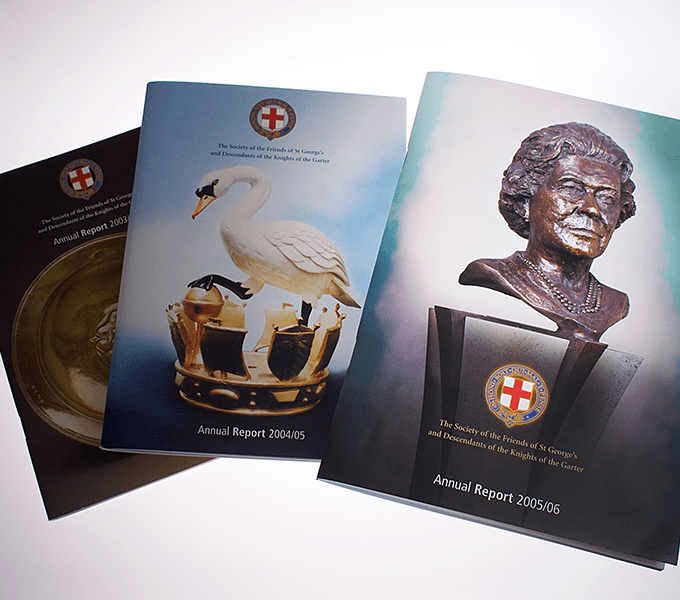 This was produced in a few days for a meeting celebrating 50 years of the Lay Stewards. 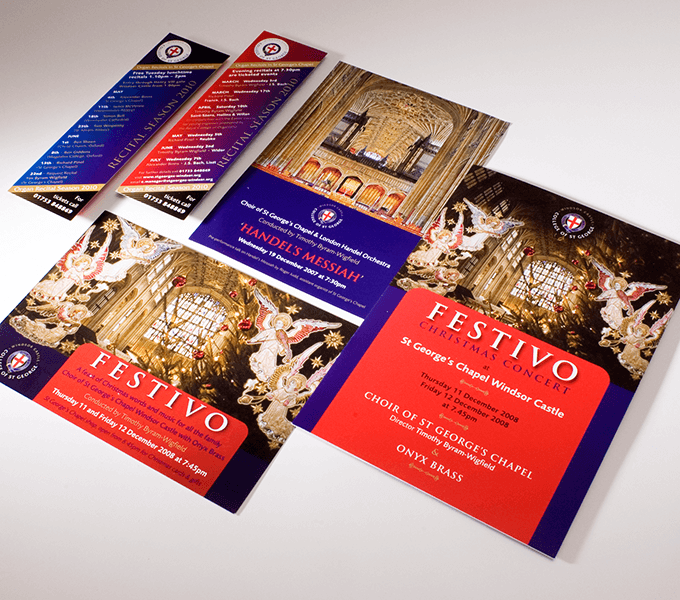 By using indigo digital printing and modern binding methods it is possible to rapidly publish high quality, short run books - but we do prefer some advance notice.